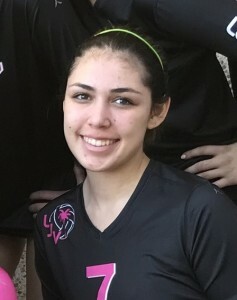 I play Opposite and also perform well as a Defensive Specialist for La Jolla Volleyball Club 17-1 in San Diego, CA. I am a passionate, hard-working, team player whose main goal is to win games alongside my teammates. You can always count on me to play to the best of my abilities and I will never give up until the last whistle blows. Please check out the link to view my sports recruits profile.